As Senior Vice President of Digital Sales and Chief Marketing Officer, Michelle oversees all global marketing and brand initiatives, client experience, and runs the digital sales and commercial channel for the IBM company. Directly responsible for billions of revenue and accountable for demand generation for the company, her team includes thousands of marketing professionals and digital sellers located in over 100 countries worldwide. 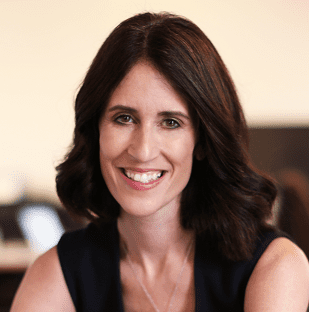 Michelle brings to IBM deep, customer-centric marketing and operating and leadership experience as IBM accelerates its transformation to an AI & Cloud platform company. Prior to IBM, Michelle was CEO of Gilt from 2013 until the sale of Gilt to Hudson's Bay Company (HBC) in February of 2016, and a Board of Directors member since 2009. While at Gilt, she oversaw the expansion of the business and the drive to profitability. Michelle was the Global Consumer Chief Marketing and Internet Officer of Citigroup from 2009 until 2013. In that role she was responsible for the digital experience for Citi’s 100 million consumers globally as well as for Citi’s global consumer marketing strategy and execution. She also led Citi’s effort to bring CitiBike to New York City. From 2002 to 2009, Michelle was the CEO of Travelocity, pioneering digital and driving significant scale around the world. She joined Travelocity following the company’s acquisition of Site59, a travel site she created and launched in 1999 as CEO. Michelle was a White House Fellow and Senior Advisor to Labor Secretary Alexis Herman and worked as a case leader for The Boston Consulting Group in New York and London. She serves on the Board of Directors for NIKE, Inc., nonprofit TechnoServe, and advises Technology Crossover Ventures (TCV), a Palo-Alto based venture capital firm that has backed companies like Facebook, Spotify, Netflix, and Zillow. Michelle received an MA in Philosophy, Politics and Economics from Pembroke College at Oxford University, where she was a Thoroun Scholar, and her BA from the University of Pennsylvania’s Wharton School of Business.